1900 General Stabber/Vagabond muster to form the “Frill Me” fleet at Jita Memorial to flash our knickers at the AT10 camera. 1929 “Thukk You” RvB-led Outlaw fleet enters Jita, performs monument alphastrike flyby. Pinata self-destructed. 2130 Surviving Protesters will head to Delve via Curse and Catch. Please register your support in the community of your choice. Additional events and promotional material will make you shiny. Like a gentle echo of last year’s acrimony, capsuleers have once again been voicing their dissent at changes brought about by the latest expansion. This time it is the removal of the Vagabond’s “frill”. Chief amongst those protesting is Rixx Javix of Eveoganda notoriety, but there has also been much chatter in Tweetfleet, on the forums and elsewhere. It seems that finding something to rage about is fast becoming a Summer tradition in New Eden, but this time there’s a distinctly more festival feel about things. That’s not to say there isn’t a point to be made. It would be a magnificent showing of player solidarity if we could get a bit of a crowd together to tub-thump about the needless circumcision of the Vagabond, but equally to celebrate EVE and its communities, and also to remember that 20% of CCP staff lost their jobs as a result of last Summer’s mistakes. Whatever axe you’ve got to grind, bring it along, I’m sure we can blow something up in its honour. “Disgruntled capsuleers have previously had some success making their point through in-game actions, most notably during last Summer’s uprising which resulted in the “destruction” of the Jita Memorial monument. Shooting a static structure is so last year, but a similar event would have the advantage of showing numbers, being something active and positive and it would also be a talking point. So how about a protest march? The corporation responsible for the production of the Vagabond is Thukker Mix and their HQ is listed as the Thukker Mix Factory in the null-sec system of M-MD3B. How about we organise a Stabber/Vagabond gathering one weekend, when the entire fleet will muster at the Jita Monument, but will then take a leisurely protest tour of the major trade hubs, before heading out through low and null to “suicide gank” the Thukker Mix HQ. It will be an entertaining event. Numbers providing, it will be high profile. Screenshots could highlight the lack of visual difference between the models. The high-sec portion of the march will be very visible to other players. The low/null section will result in lots of explosions one way or another. There has been quite a positive response to this suggestion, so will invest some time into organising this event, but I am going to need some help. All times above are EVE time (GMT), I picked a weekend evening as I hope that will be a convenient time for the majority of timezones (sorry far-Eastern folks). I felt a couple of weeks would be necessary preparation time to give some momentum a chance to build and for word to spread (plus that is the only day in the near future where I can play spaceships all day without double-booking or getting wife-aggro). I am aware it coincides with the group stages of Alliance Tournament X, but perhaps that can contribute to the carnival atmosphere I hope we can generate. I’d be more than grateful for any assistance in promoting and organising this event. Ideas are welcome; I appreciate not every pilot can enter high-sec, so I would like to make this as inclusive as possible. Perhaps there could be some lead-up events over the course of the day before the Jita Memorial muster. For example, some celebrity PvP exhibition bouts, a treasure hunt, or anything else people can think of and are willing to organise. Anything that will encourage folk to put in an attendance for the march itself. During the build-up, Khalia Nestune of My Loot Your Tears is organising a prize suicide gank event in the nearby system of Jatate. Red versus Blue organiser Mangala Solaris has pledged the regular RvB Ganked event to synchronise with Thukk You, Frill Me. The route should take in a number of high-profile systems, with the purpose being to raise awareness and recruit marchers to the cause before the exodus through low-sec and on into The Great Wildlands. I would like to ensure that a significant portion of the route will be outside high-sec to enable outlaw supporters to be involved. 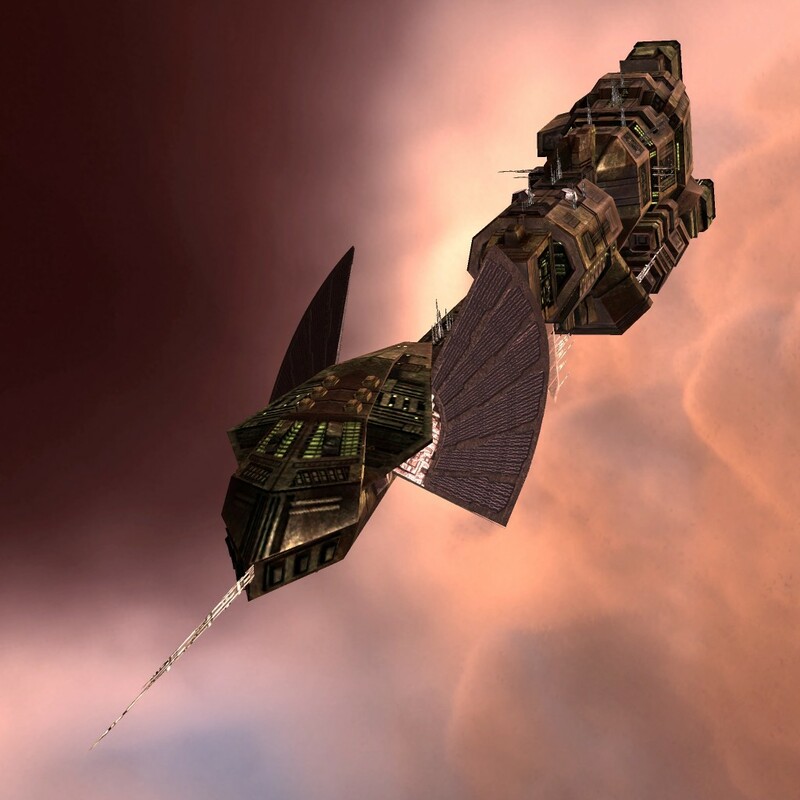 Edit: To address the concerns of those not able to enter high-sec without consta-warping, how about a display-team-like alpha-strike flyby of the Jita Monument? We could self-destruct a pinata Vagabond at the same time, then they outlaws can lead the high-sec contingent back down into low-sec for the remainder of the march. Clearly there’s little point in being too regimented about what happens once heading for null as there’s likely to be some kind of ambush, but it would be great if we could get a swarm of Stabbers/Vagabonds into the target system for a glorious last stand. So bring your tinfoil carnival hats and a sense of humour and let’s get protesting. Spread the word, organise some stuff or just turn up on the night. Let’s get the poor deaf little Vagabond his ears back. Sounds beyond good. If I can be I will be there. I'll do whatever I can to help support this. My hope is that the Frill has returned before July 15th, but if it hasn't then this is even more important then ever. My time limits being what they are these days make it difficult to commit to anything, but I will make a special effort to be there for this. Great idea Stan and, as always, thank you for your support and help! I am also holding my own mini-event in the form of a suicide-gank of ME for the chances of winning STUFF. Magic, this should be fun. I'm grateful for your involvement. sounds fun, trying to recruit in the middle of the war might be a little difficult though..